Freddy's Farm Etsy Shop - Roving, Art, Fleeces & more! 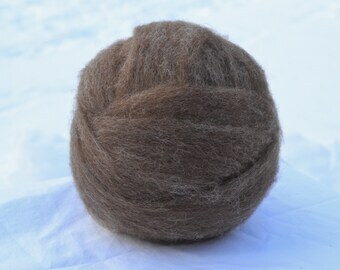 Dark Brown Undyed Shetland Roving / 4oz ball from "Shaniqua"
Fluffy White Undyed Shetland Roving / 4oz ball from "Bailey"
Moorit/Tri-Color Undyed Shetland Roving / 4oz ball from "Aleen"
Announcement 2018 lambing season is fast approaching...check for updates at our website http://www.freddysfarmshetlands.com/. 2018 lambing season is fast approaching...check for updates at our website http://www.freddysfarmshetlands.com/. 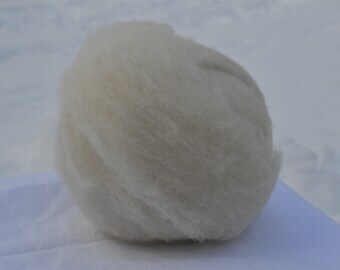 White Undyed Shetland/Cheviot Cross Roving / 4oz ball from "Tiana"
Beautiful fiber! Nicely processed. It almost spins its self. Fast shipping. A great shop with super nice fiber. Thanks! Light Grey Undyed Shetland Roving / 4oz ball from "Ink"
Light Grey Undyed Shetland Roving / 4oz ball from "Peace"
Lovely fiber! Very happy with it. 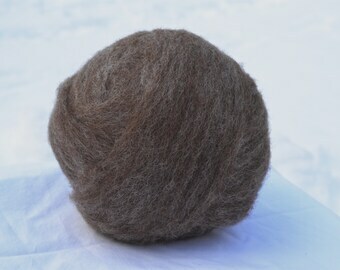 Light Grey Shetland Roving ~ Undyed ~ 4oz ball from "Ink"
My flock sire, Androscoggin aka Andy. He's a gorgeous gray Katmoget & a absolute love bug. The Freddy's Farm Sign: a wet felted background, with needle felted writing and figures. Lined up against the barn, enjoying the sun ! Welcome to the Shetland Delights Etsy shop! The official shop of Freddy's Farm, located in Bolton MA. We have been making felted products for many years, such as bowls, scarfs, coats, and more. Yet, there may be some non-wool products that we like to sell...take a look around! If you see something you like, please message me with any questions. We do custom orders, the sky is the limit with wool, and I love to collaborate with customers. I hope you enjoy my shop, and if you would like to learn more about Freddy's Farm just check out our website: www.freddysfarmshetlands.com. Overall, I am a very busy lady and very flexible. Ideally I would just have a barter system, but everything works on money these days. If any problems arise I am totally willing to work on them. I'm not a corporate machine. If you would like more pictures of a product, or have any questions, just ask! Thank you for checking out my products; and I hope I can send you some homemade goodies soon! All items are eligible for a refund if they are deemed unsatisfactory, or not what you expected even after asking questions before ordering. Just let me know your reasoning, so it hopefully won't happen again. If there are any damages or losses, please contact me asap! Then we can work on resolving the problem. Preferred payment is through PayPal, since it is so secure and reliable. As for cancellations, just let me know asap. Hopefully before I ship your order. - I ship within 1-2 business days of payment. - U.S and International shipping are both available, with 7 different classes (prices). So please pick whichever method best fits your means; we aim to please. - If you would like extra insurance for a package, just let me know and I will add it. If a shipment is large (lets say over 2lbs) I will add extra insurance automatically.